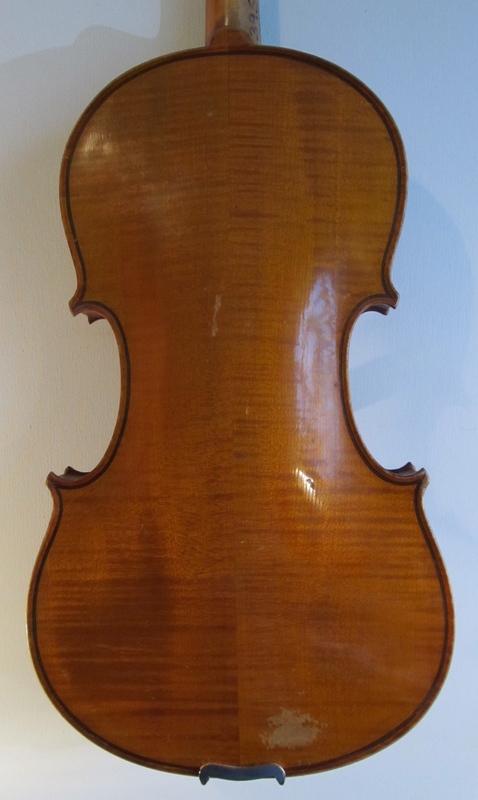 Early to mid 20th century German Strad copy, unlabelled. 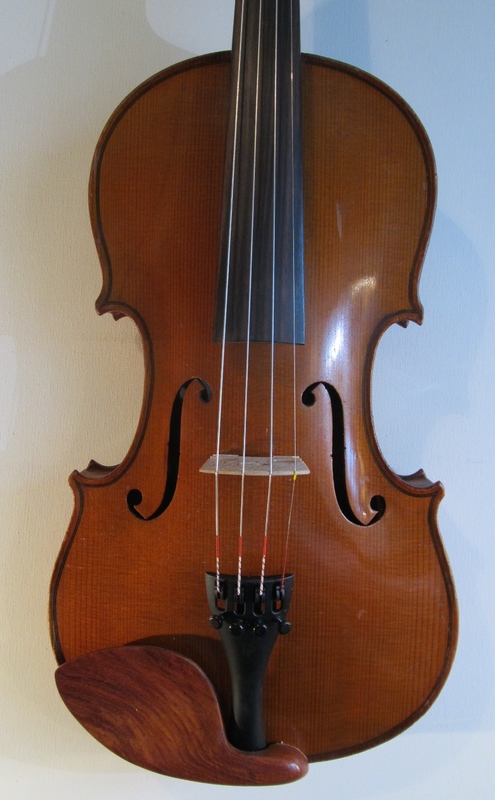 Very nice workshop instrument, made with good wood and very finely crafted. Golden brown spirit varnish. 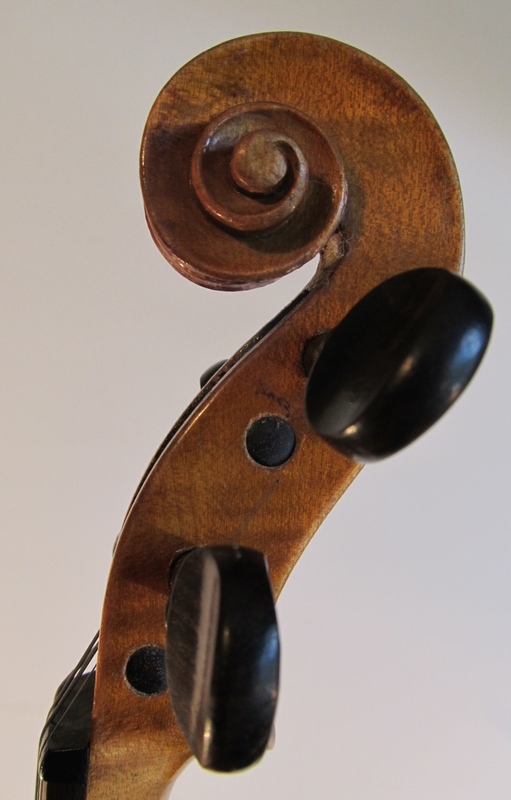 Very clean, open sound, even across the strings, silver on the E.
Condition: A few small dings and scratches. No cracks or repairs. Set-up: New rosewood pegs and Aubert bridge, new Wittner tailpiece and Tonica strings.